The magazine industry emerged this year from the most perilous downturn in its history with a set of unmistakable powerhouse titles celebrated here in Adweek’s 31st annual Hot List. 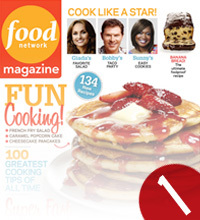 Those that made the cut, from Food Network Magazine at No. 1 to Vanity Fair at No. 10, were the industry’s most successful and influential over the past year. The rankings are based on financial performance metrics—ad page, ad revenue, newsstand, and overall circulation, growth—along with an influence measurement derived from social media footprint, press impressions, and search engine results. Also factored in is a product quality measurement, based on the number of edit pages, Web traffic, awards, and other reader satisfaction benchmarks. platforms—has turned into a winning recipe. While Condé was shuttering Gourmet, Food Network Magazine was drawing in readers with celebrity talent, over-the-top recipes, and a general refusal to take itself too seriously. In just two years, has circulation soared to 1.3 million. The inner workings of the fashion industry remain a source of intrigue, and few have exploited that more aggressively than Hearst’s Marie Claire, which has thrown open its doors to TV cameras recently in the name of brand awareness. It’s worked. Ties with Project Runway and Running in Heels—and the star power of Adweek’s Editor of the Year, Joanna Coles, and fashion director Nina Garcia—have helped raise the magazine’s profile. In 2010, Marie Claire grew ad pages by 20 percent, the fastest pace of any of the established fashion mags. design ideas. Elle Decor also had the savvy to expose itself to new audiences via partnerships with Bravo and Kohl’s. 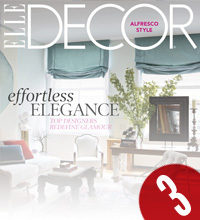 As the economic collapse wiped out many of its peers, Elle Decor became the fastest-growing shelter book last year. 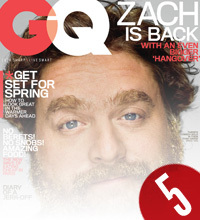 Ad pages rose 35 percent, and second-half newsstand sales were up 26 percent. Icon of the dot-com boom, Wired escaped the fate of the other tech magazines of the go-go ‘90s by embracing a broader editorial mission. 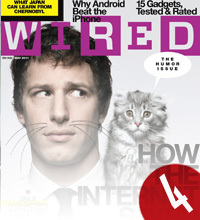 Under the patronage of Condé Nast, which bought it in 1998, and editor Chris Anderson, Wired has become an agenda setter and a digital beacon for the company. Though it took a beating during the recession, Wired’s ad pages soared last year—up 24 percent—earning the wonky title new respect in a publishing house of fashion glossies. seriously. Under editor Jim Nelson, the Condé monthly has gotten attention for its long-form journalism and stellar reportage, but also pulled in a younger audience with a combination of service and pop culture. 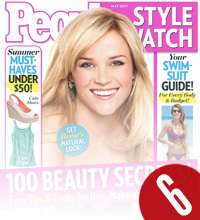 In the second half of 2010, single-copy sales rose 6 percent on an overall circulation increase of 5 percent. Who says men don’t read magazines anymore? With People StyleWatch, Time Inc. took the DNA of its powerful People franchise and developed a brazen fashion brand that’s become a real threat to stalwarts like Elle and Harper’s Bazaar. More shopping catalogue than style primer, StyleWatch capitalized on the public’s love affair with both celebrities and fast fashion. Last year alone, StyleWatch’s ad pages jumped 50 percent while second-half circulation was up by 9 percent, making it one of the fastest growers in the industry.